Use discount code MP_3BL to get SOCAP18 tickets for $995 at the Summer Special rate. This is the last chance to get SOCAP18 tickets for under $1,000 with 3BL’s special discount. Register soon. This deal ends on August 31st. SOCAP (Social Capital Markets) is the leading conference activating the capital markets to drive positive social and environmental impact, with more than 20,000 participants since its founding in 2008. SOCAP’s flagship event leverages the power and effectiveness of collaboration— convening ideas and capital to catalyze world change. SOCAP18 will take place October 23-26, 2018 at the Fort Mason Center for Arts & Culture in San Francisco. Over 3,000 impact investors, world-class entrepreneurs, and innovative cross-sector practitioners will convene to hear more than 500 speakers and participate in over 150 breakout sessions. As momentum builds toward the 11th annual SOCAP conference, following the biggest SOCAP event yet, here’s a look at what’s to come. Andre Agassi and Bobby Turner of Turner Impact Capital will discuss their collaboration around investing in charter school facilities, and revered impact investors Arjan Schutte of Core Innovation Capital and Mitch Kapor of Kapor Capital will speak to the frontiers of financial inclusion. Six years after Jackie VanderBrug gave a keynote address on investing with a gender lens at SOCAP12, VanderBrug will join two other pioneering leaders of this global movement, Joy Anderson and Suzanne Biegel, for a conversation on the evolution of gender and markets. 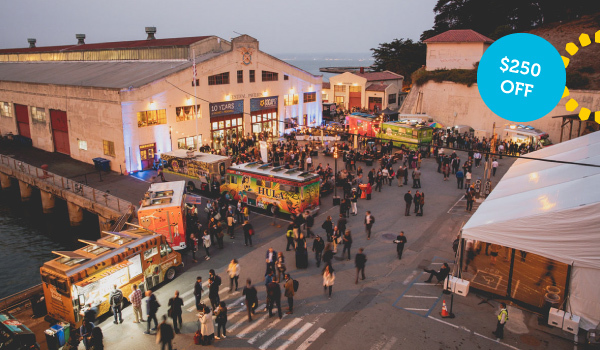 New this year, SOCAP is shifting in format from a conference agenda to a festival schedule. Expect a broader range of formats, sparking a shift in the programming from a block-by-block agenda to a festival of many stages with unique atmosphere and content offerings. Learn more about this exciting format change. As always, SOCAP believes in the wisdom of the crowd over a top-down approach, with conference themes developed through listening to the field, pulling out areas of energetic debate, untapped opportunity, and timely insight. For SOCAP18, a record-breaking 78 SOCAP Open sessions were selected from 427 ideas submitted by community members—the largest number of SOCAP Open proposals ever received. Explore the winning sessions here. This year you can also expect to find a particularly diverse set of topics and themes that work well within the festival-like atmosphere of SOCAP. Additional mainstage speakers will be announced before the end of August and the full agenda will be released in mid-September. To stay connected and receive updates on SOCAP events, ticket specials, and other opportunities sign up for the SOCAP newsletter.